REI in Asheville will be offering a Map & Compass Basics class on Wednesday, March 16th at 7p.m. This class is aimed at newcomers to maps and compasses. REI will cover the basics such as understanding map symbols, orienting the map and compass, triangulation, declination adjustment, and reading terrain features. Participants are encouraged to bring their own compasses. No experience is necessary! The class is free, but you need to register first. If you're at all familiar with the Great Smoky Mountains, you're probably at least somewhat familiar with the name of Wiley Oakley. There are numerous place names and roads in the Gatlinburg area that honor Mr. Oakley, as well as a plaque at the Gatlinburg Welcome Center. Also, just this past September, the Tennessee Association of Convention & Visitors Bureaus handed out the very first Wiley Oakley Tourism Award. Simply put, Wiley Oakley was synonymous with the Great Smoky Mountains, prior to establishment, and during the early years as a National Park. Some have even described him as an icon of the Smokies. Oakley, also known as the “Roamin Man of the Mountains”, was born in 1885 at the base of Mount LeConte. Tragically his mother died when he was a young boy, and to help deal with his grief, he began wandering the hollows and mountains near his home. Reflecting back as an older man, he spoke of how he would try to climb the highest peaks to see if he could catch a glimpse of her in heaven. As he grew older, Wiley’s responsibilities also grew. At sill a relatively young age he began helping the family with hunting and fishing duties. It was during this time that he spent “roamin” and hunting that he was discovering the unique features of the mountains, and was even blazing his own footpaths. Eventually he became a hunting and fishing guide, and gained such a renowned reputation that he was soon guiding politicians, celebrities and businessmen from all over the country, including Henry Ford, Ernie Pyle and Kate Smith. During the Park’s formation Wiley became a major consultant, and was even called on by surveyors to help determine the Park's boundaries. During his lifetime, Oakley was a hunter, fisherman, farmer, merchant, developer, professional guide, botanist, artist, musician, yodeler, author, columnist, broadcaster, poet and story-teller. In fact, it was his abilities to spin tales about the Smokies that gained him national attention. His popularity earned him a nickname as the "Will Rogers of the South," and was a popular radio guest in his day. To get a little bit better understanding of Oakley's abilities as a story-teller, take a listen to a couple of short radio clips from the late 1920s that have been posted on the English Department of the University of South Carolina's website. It's pretty obvious that Wiley had a lot of down-home charm and charisma. To learn more about Mr. Oakley, the Tennessee History Classroom website has a short, but a pretty good biography on him. The latest Cub Report from the Great Smoky Mountains Association announced their new photo exhibit is now on view at the GSMA Sevierville Visitor Center store. The exhibit features a stunning collection of landscape photographs by Stan Jorstad. The photos feature national parks from across the country. The GSMA has posted a short video on their website that provides a sneak peak of the exhibit. The Sevierville Visitor Center is open from 9:00 am – 6:00 pm, every day except Christmas Day. The National Park Service will host a free stargazing event at the Peaks of Otter area on the Blue Ridge Parkway next Saturday. Beginning at 7:30 PM, in the Peaks of Otter Amphitheater near Milepost 86, National Park Service volunteers Martin Dileggi and Alan Pipkin will present a short PowerPoint program about Astronomy followed by telescope viewing of the stars, constellations, comets, stories of the night sky and more over at the Peaks of Otter Nature Center. For more information on the March 5th event, please click here. 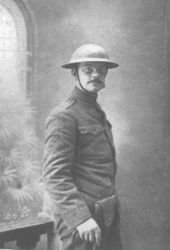 This year marks the 75th Anniversary of the dedication of the Joyce Kilmer Memorial Forest, a living memorial to writer/poet Joyce Kilmer, best known for the poem, “Trees.” Kilmer was killed in action during World War I while serving in France on July 30, 1918. In 1934, the Bozeman Bulger Post of the VFW petitioned the U.S. government to find a suitable area to serve as a monument to Kilmer. An isolated pocket of old-growth hardwood forest within the Nantahala National Forest’s Cheoah Ranger District in western North Carolina was selected. On July 30, 1936, ceremonies were conducted to honor Kilmer and dedicate the Memorial Forest to his memory. The 3,800-acre Joyce Kilmer Memorial Forest is now a part of the 14,000 acre Joyce Kilmer-Slickrock Wilderness. The Partners of the Joyce Kilmer-Slickrock Wilderness, a non-profit dedicated to protecting the natural and heritage resources of the wilderness, in cooperation with the U.S. Forest Service, are planning a 75th Anniversary celebration. A rededication ceremony will be held at Rattler Ford campground, outside of Robbinsville, North Carolina, on July 30, 2011. This celebration will include a 5K road race through a portion of the Nantahala National Forest, exhibits highlighting the area’s rich natural and cultural heritage, guided tours of the Joyce Kilmer National Recreation Trail, and speakers highlighting both Joyce Kilmer’s life and the U.S. Forest Service’s stewardship of wilderness. Several other activities are also planned for the 75th Anniversary, including a poetry contest sponsored by the Stecoah Valley Center and events sponsored by Graham County Travel and Tourism. Additional information on the celebration will be posted on the NC National Forests website. Excellent advice to live by.... Thanks to Appalachian Treks for providing that one. Shenandoah National Park has just posted the schedule for their annual Wildflower Weekend for this coming May. This year's Wildflower Weekend will be held on May 7th and 8th, and will include several new programs. Several hikes, walks and wildflower related programs are scheduled throughout the weekend, many with botanists, naturalists and park rangers. To see the full schedule, please click here. More than 1,300 species of plants thrive in Shenandoah National Park, a mountain island surrounded by farmland, towns, and expanding developed areas. The park is a haven for native woodland wildflowers. For more information about Shenadoah's wildflowers click here. Next weekend, Amicalola Falls State Park and Lodge in Georgia will be holding an Appalachian Trail Celebration & Backpacking Clinic. The three day event will take place on March 4th thru March 6th, from 9AM to 5PM. Attendees will hear about Appalachian Trail adventures from the past and present, and learn how they can conserve the trail and its legacy in the future. There will be demonstrations and workshops by professionals and retailers on an assortment of backpacking gear, and discussions on trip preparation. No registration is required to attend. On June 4, 2011, American Hiking Society’s National Trails Day will bring together outdoor enthusiasts across the country for the 19th annual celebration of America's magnificent trail system and its countless supporters and volunteers. Two thousand events will take place around the country including trail maintenance, hiking, paddling, biking, horseback riding, bird watching, running, trail celebrations and more! The theme for National Trails Day 2011, Made With All Natural Ingredients, encourages all Americans to get outside, connect with local outdoor clubs, businesses, community groups, and parks and recreation departments as well as federal land managing agencies to experience, appreciate and celebrate the natural places where we can find a spread of scenery, a plateful of peace, and a heap of happiness and health. "Dedicated volunteers, outdoor enthusiasts, trail lovers, and those new to the outdoors are truly the key ingredients to National Trails Day. Naturally, it’s a time to give back to trails and pay it forward by introducing someone new to the outdoors,” said Gregory Miller, American Hiking Society president. Since 1993, National Trails Day has inspired thousands of individuals and community groups to take part in activities that promote healthy living and mental well being, protect green space, educate youth and adults on the importance of trails, and instill excitement for the outdoors. Plan now to host or attend an event in your area. If you want to get happy, healthy, active, fit, and have some fun, National Trails Day is your recipe to success. Founded in 1976, American Hiking Society is the only national, recreation-based nonprofit organization dedicated to promoting and protecting America’s hiking trails, their surrounding natural areas and the hiking experience. To learn more about American Hiking Society and its mission and programs, visit www.AmericanHiking.org. If your community organization would like to host an event or to find out more about NTD 2011, contact Heather Sable, Trail Programs Manager, at hsable@AmericanHiking.org or (800) 972-8608 x 208 or visit the website. 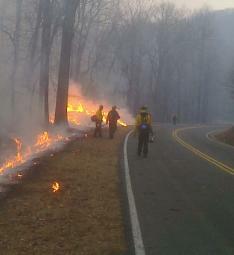 Today crews began emergency stabilization work in Shenandoah National Park on firelines along the park boundary. The purpose of this task is to prevent erosion along firelines dug in steep terrain and reduce the likelihood of invasive plants spreading into the park. Berms built up along the firelines will be scattered and water bars will be dug across the firelines. In order for crews to work safely in this area, they will also need to cut hazardous trees that have been weakened by the fire. As conditions permit, crews will also be removing hazardous trees along the Skyline Drive, Appalachian Trail, and other trails. The fire, known as the Smith Run Fire, began on Saturday is now estimated to be 50% contained. Rain and snow over Monday night and Tuesday morning helped to bring the nearly 2000-acre fire under control. As of this afternoon, the entire length of Skyline Drive is still closed due to snow and ice. The fire has caused the following trail closures: Mt. Marshall Trail from Skyline Drive to the intersection at the Bluff Trail; Appalachian Trail between Compton Gap and the Browntown Trail; Lands Run Gap Fire Road; and the Jenkins Gap Trail. The Great Smoky Mountains Association announced today the dates and schedule for the 61st Annual Spring Wildflower Pilgrimage. This year's Spring Wildflower Pilgrimage, which will take place on April 26 - May 1, 2011, is a five day event that will offer 141 professionally guided walks and indoor presentations which explore the region’s rich wildflowers, fauna, ecology, cultural and natural history. Most programs are conducted on the trails in Great Smoky Mountains National Park, while indoor offerings will be held in the Mills Conference Center and the Sugarlands Training Room in Gatlinburg, Tennessee. All programs will be held rain or shine. For more information, including details on all the programs, hikes and walks, please click here. The 6th annual Reel Paddling Film Festival World Tour will be making a few stops in the Southern Appalachian region this coming April. The Festival showcases the world's best paddling films to audiences around the world. One of the goals of the festival is to inspire more people to explore rivers, lakes and oceans, push physical and emotional extremes, and embrace the lifestyle and appreciate the heritage of the wild places we paddle. Great Smoky Mountains National Park is recruiting volunteers to help staff the visitor contact station at Clingmans Dome when it opens on Friday, April 1. Last year, the building that had served as a comfort station since the Civilian Conservation Corps era was renovated and converted into a seasonal information center and bookstore/sales area managed by Great Smoky Mountains Association (GSMA). The renovation project was funded by GSMA. The center sits at an elevation of 6,300 feet and will be a point source of information on the national park, in general, and on this high elevation spruce-fir ecosystem in particular. Volunteers are needed to assist in educating visitors about the Park and providing recreational and trip planning information and directions to other destinations. Many other helpful services will be available, including the ability to purchase guides and maps, outdoor apparel, and other quality products sold by GSMA. “The Association is a significant partner and so are our volunteers. Their volunteer assistance at this location will go a long way in helping Association staff provide essential services to the public,” said Park Superintendent Dale Ditmanson. Volunteers will be working alongside GSMA employees and each volunteer is asked to work at least one 4-hour shift per week at the information desk and roving the trail to the Dome Tower. The hours will be from 11 a.m. to 3 p.m. April – November. Interested persons will be required to attend one of two 5-hour orientation and training sessions which will be given: March 10 at the Sugarlands Training Room near Gatlinburg, Tenn.; and March 19 at the Waynesville Library, in Waynesville, N.C. To register for the training or for more information, contact the Oconaluftee Visitor Center at (828) 497-1904. What are the best Appalachian Trail section hikes? What are the best parts of the Appalachian Trail to section hike? Although the answer to that question is subjective and no doubt hotly debated, the folks over at the REI store in Asheville will attempt to provide some in-depth details on the southern portion of the AT so that backpackers wishing to do some section hiking can decide for themselves. Next month one of REI's Appalachian Trail experts will talk about his favorite AT sections from Georgia to Virginia. He will also provide tips on how to plan out your section hikes, including an introduction to all the logistics, gear, nutrition, training, as well as some insider tips and tricks. Participants will also have the chance to win prizes. The event, to be held on Tuesday, March 15th from 7:00 p.m. - 8:15 p.m., is free, but you need to register over at the REI website beforehand. As budget woes mount across the country, the governor of North Carolina is proposing to close state parks two days a week in order to make ends meet. "To avoid reductions in permanent staff, this reduction will require the closure of most parks two days per week. The division has the flexibility to manage this adjustment to minimize the impact on programs, services, and activities." The savings from this proposal would amount to roughly $3 million. The budget proposal also recommends that the Rendezvous Educational State Forest and the Turnbull Creek Educational State Forest be closed due to low attendance. The information concerning state parks and forests in this proposal begin on page 238 of this PDF file. Interestingly, just last week, North Carolina’s state parks and state recreation areas reported near-record visitation in 2010, with 14 million visits. With federal lawmakers and bureaucrats continuing to spend our money like there's no tomorrow, the question that comes to mind; Will the day of reckoning come to our National Parks at some point? A fire in the North District of Shenandoah National Park has resulted in closures of several trails and portions of Skyline Drive. The fire, located near Jenkins Gap near Milepost 12 on Skyline Drive, has burned approximately 1800 acres in the north district of Shenandoah National Park. It started on private property outside of the park boundary and was first reported at approximately 10:00 AM on Saturday, February 19. The fire's cause is currently unknown. The fire is moving on the surface of the forest floor where hardwood leaf litter and down trees have accumulated. Beginning this morning, the interagency Southern Area Type 1 "Red" Incident Management Team will take over management of the fire. Roughly 78 fire personnel from a variety of state and federal land management agencies are currently fighting the fire. Along with the Smith Run Fire, the Red Team will also be taking over three fires now burning on the neighboring George Washington and Jefferson National Forest: the Pickle Branch Fire (325 acres) and the Coffman and Chestnut Ridge Fires (approximately 2,700 acres together). All four fires together will be managed as the Valley Complex. The Smith Run Fire is estimated to be 15% contained. Fire managers will continue to build line and mop up with some burnout operations. The rest of the park including the Skyline Drive from Thornton Gap (Rt. 211) south to Rockfish Gap (Rt. 250) remains open. Over the weekend I received an email from American Trails announcing that they will be holding a webinar this Wednesday to help explain the new ruling, and how it will impact trails and trail managers. The new ruling effectively states that individuals with mobility disabilities may go on a trail utilizing “other power-driven mobility devices” (OPDMD), regardless of size or horsepower, UNLESS the land manager has documented that it has completed an assessment of the trail, route, or area using the DOJ assessment factors, and as the result has determined that such use is not allowed. An OPDMD is defined as: "any mobility device powered by batteries, fuel, or other engines — whether or not designed primarily for use by individuals with mobility disabilities — that is used by individuals with mobility disabilities for the purpose of locomotion, including golf carts, electronic personal assistance mobility devices (EPAMDs), such as the Segway..."
The requirements of the new rules take effect on March 15, 2011. How should trail managers address what could potentially be a disruptive new use of motor vehicles on trails? At the same time, how can we encourage appropriate access to our trails by persons with disabilities? Step 3: Space is limited. Reserve your webinar seat by clicking here. For more information about the new ruling from American Trails, please click here. 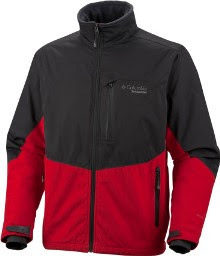 Several weeks ago I mentioned that Columbia Sportswear approached me to see if I would be interested in field testing one of their new Omni-Heat Elite Jackets. The jacket features a new thermal reflective technology that helps regulate your temperature by reflecting and retaining the warmth your body generates. In that same blog posting I provided a detailed review of the jacket. As a short addendum to that review, I wanted to mention that after one of the coldest winters in a long time, the jacket performed admirably. The Heat Elite did an outstanding job of keeping the wind and cold from penetrating my core while out hiking and walking this winter. I also wanted to let you know that if you have any interest in purchasing this jacket, now is a great time with most of the major retailers holding clearance sales right now. * Right now Altrec has the best deals - offering up to 31% off depending on your size and color choice. * Amazon also has similar savings on both Mens and Womens jackets - again, depending on size and color. * Backcountry.com has all versions of both their Mens and Womens Heat Elite Jackets marked at 20% off. Earlier in the week the Great Smoky Mountains announced on their website that work on Newfound Gap Road will force single lane road closures this spring. Motorists traveling across Great Smoky Mountains National Park on Newfound Gap Road (U.S. 441) can expect to experience delays beginning March 1, 2001 when work begins to rehabilitate 2.4 miles of the road from the North Carolina state line at Newfound Gap northward into Tennessee. The work will be performed by Estes Brothers Construction, Inc. of Jonesville, VA. under a $7.8 million contract with the Federal Highway Administration. In addition to repaving that segment of the road, the contractor will be repairing thousands of feet of stone masonry retaining walls and several drainage culverts. At two locations the retaining walls will require extensive re-construction to support the roadbed, necessitating the closure of one lane between March 1 and June 10, 2010. At the upper retaining wall worksite, just above the Morton Overlook, flaggers will be used to control traffic around the lane closure during daytime hours, from 8:00 a.m. until 9:00 p.m., but two-lane traffic will be restored overnight. At the lower site, traffic signals will be installed to control alternating north-bound and south-bound traffic around the clock, seven days a week. From June 11 until August 15, daytime lane closures will not be permitted, but will be allowed overnight from 9:00 p.m. through 8:00 a.m. Completion of the current contract is scheduled for October 2, 2012. This work is the first of three phases to repair all 15 miles of the Road from Newfound Gap to the Park boundary at Gatlinburg, TN a process that Park managers expect to finish in 2016. The Appalachian Trail Conservancy (ATC) announced yesterday, that in working in partnership with federal, state and local partners, they've recently protected 840 acres of forested land on South Mountain in Cumberland County (known as the White Rocks) near Boiling Springs, PA. The parcels will be acquired by the U.S. federal government (National Park Service), for permanent protection of the Appalachian National Scenic Trail. The purchase will protect open space and wildlife habitat, enhance the Appalachian Trail experience and provide protection to critical groundwater recharge areas that feed residential use in the valley and the cold water fishery of the Yellow Breeches Creek. Total project cost is $3.2 million. Funding for this land conservation project came from the Federal Land and Water Conservation Fund, the Department of Conservation and Natural Resources Keystone Recreation, Park and Conservation Fund (Key 93), and local private contributions. USDA Forest Service officials at the Cherokee National Forest say that while logging operations are in progress, the Falls Branch Road (FDR 374) will be closed to public motor vehicle traffic. The road will remain closed for approximately 2 to 3 months. The Falls Branch Road begins at Pace Gap off the Sheeds Creek Road (FDR221) east of Syclo Campground in the Ocoee Ranger District, Polk County,TN. Falls Branch Road extends approximately 7 miles north toward the Ocoee River where it ends. Logging in the area is part of the Hogback Mountain Restoration Stewardship Project. This project is a cooperative endeavor between the USDA Forest Service and the National Wild Turkey Federation. The project will provide wildlife habitat diversity through prescribed burning; mechanical and chemical vegetation control; and various silvicultural methods. The project will enhance habitat elements such as mast production (nuts and berries), seasonal seclusion (reduction of human presence during certain periods), and brood rearing habitat for the wild turkey. The project area is also located within a state-designated black bear reserve, and habitat improvements will benefit bears and many other species of wildlife. For more information on hypothermia, identifying it, and treating it, please click here. This weekend is the annual Great Backyard Bird Count. During February 18–21 the GBBC will create an instantaneous snapshot of birdlife across the U.S. and Canada for all to see. Anyone can help by tallying birds for at least 15 minutes on any day of the count. At the GBBC website you can enter the highest number of each species seen at any one time and watch as the tallies grow across the continent. Coordinated by the Cornell Lab of Ornithology, Audubon Society, and Bird Studies Canada, the four-day count typically records more than 10 million observations. Last year’s participants reported more than 1.8 million American Robins, as well as rarities such as the first Red-billed Tropicbird in the count’s 13-year history. For more information, including bird-ID tips, instructions, and past results, visit www.birdcount.org. 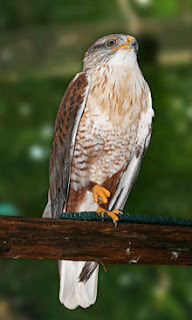 The count also includes a photo contest, and a prize drawing for participants who enter their bird checklists online. The Asheville Hiking Meetup Group will be hosting a free hike to Looking Glass Rock in the Pisgah National Forest this Saturday, February 19th. The hike will be 6.4 miles roundtrip on the out and back trail. Expect to go at a leisurely pace and sticking with the group. It's a moderate/strenuous trail that climbs 1700 feet in 3.2 miles. From its peak are panoramic views of the surrounding Blue Ridge Mountains. For those interested, meet at 10 a.m. at the Ingles at 301 Long Shoals Road in Arden to carpool to the trailhead. For more information, e-mail ashevillehikinggroup@gmail.com. Outside Magazine has an interesting and informative article in the print and online edition their February 2011 issue. The article essentially offers a series of basic tips for adventure travelers. These are skills any outdoor enthusiast, especially those traveling abroad, should possess. These include packing, how to handle bribes, essential gear, blending in and working with the locals, and a few survival tips. Hand over a decoy wallet instead, filled with expired IDs, credit cards, and some trivial amount of the local currency. Outside contributing editor Patrick Symmes pulled this move two years ago in Venezuela, forking over the wallet, a wad of expired Bolivian bills, and the $70 in his pocket—preserving the $500 he'd zipped into a money belt. To read all of Outside's adventure travel tips, please click here. Today I received an email alert from American Trails warning about proposed federal budget cuts that will have a profound impact on trails. The U.S. House budget proposal would reduce funding for trails, parks, and land conservation by 90% out of the Land and Water Conservation Fund - virtually eliminating funds that are appropriated to states. Major cuts are also proposed in the current House budget for a wide variety of construction, maintenance, and supporting programs on federal public lands. This includes trails and recreation areas on National Forests, Bureau of Land Management lands, US Fish & Wildlife Refuges, and the National Parks. To me, it wasn't too hard to imagine this happening. 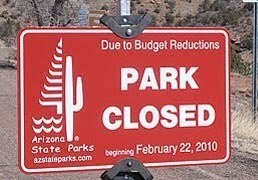 Almost a year ago I published a blog detailing how several states were beginning to close parks, reduce services, or increase fees at several state parks around the country, all as a result of mounting dept. I pointed out that budget cuts will be much too easy for local, state and national parks in a debt crisis. Right now, the United States owes more than $14 trillion. Or, to put it another way, every single tax payer in this country owes roughly $128,000. To put that $14 Trillion figure in perspective, five years ago, at the end of 2005, the total national debt was "only" $8 Trillion - an increase of 75%. But the real scary story is that the projected national debt will balloon to nearly $21 Trillion in just 5 years. That's nearly another 50% increase! To illustrate how completely insane government spending has become, the Internal Revenue Service said today that it needs to hire 81 workers, at a cost of $11.5 million, to make sure tanning salons pay the new 10% excise tax that was implemented as part of the healthcare reform. What's the ROI on that spending? I don't mean to harp on this subject, but we have a huge problem on our hands, one that many politicians don't seem to be taking seriously. There are really two choices we can make at this point. We can make some tough cuts right now, and give up some skin in the game. Or, we can kick the can down the road for a few more years, at which point we'll have to pay with a couple of arms and legs. You could say that Washington D.C. is spending like a drunken sailor, but that would be a disservice to drunken sailors around the world. At least a drunken sailor will stop buying drinks once he runs out of money. Government officials, on the other hand, keep spending on the taxpayers pocket book. Andrew Skurka, renowned long-distance backpacker and ultrarunner, and recently recognized as "Adventurer of the Year" by National Geographic, and "Person of the Year" by Backpacker, will be at inaugural AT Founder's Bridge Festival in Bryson City, North Carolina. The three day event will be held April 8-10, 2011. Skurka has thru-hiked the AT, PCT, Colorado Trail, Hayduke Trail and many other long-distance routes. 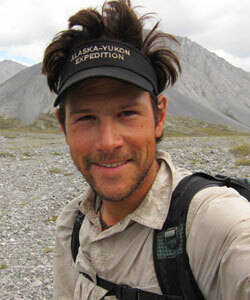 He will be giving the keynote presentation on Saturday evening, and will discuss his recent Alaska-Yukon expedition. For 6 straight months Skurka skied, trekked, and packrafted 4,700 miles in a giant loop around Alaska and Canada's Yukon. His route passed just beneath Mt. McKinley, descended famed rivers like the Copper and Yukon, and traversed the Brooks Range. During the most remote stretch across the Yukon Arctic and Arctic National Wildlife Refuge (ANWR), he went 650 miles without crossing a road and 24 days without seeing another human. His solo Alaska expedition, which he completed this past September, will also be featured in the upcoming March issue of National Geographic Magazine. His presentation at the AT Founder's Bridge Festival will be geared towards long-distance hikers, day-hikers and outdoor enthusiasts alike. Skurka will also be leading two lightweight backpacking skills clinics on the mornings of Saturday and Sunday during the festival. The Founder's Bridge Festival is the Nantahala Ooutdoor Center's newest special event. Both weekend dayhikers and long distance warriors are welcome to share their passion with like-minded friends and enthusiasts. NOC will have trail-steeped speakers sharing their knowledge and experiences, book signings, live music, workshops, gear representatives and prizes. Trail maintenance opportunities will be available for those looking to give back to the trail we all love. Count on interesting activities during the day and fun revelry at night! There will be plenty of time for Q&A, and great gear will be given away as door prizes during the program. For more information on the festival, please click here. For more information on Andrew Skurka, including photos and details from many of his adventures, please click here. The Great Smoky Mountains announced today that there will be single lane closures between mile marker 13.5 and 14.2 on Newfound Gap Road (US-441) for almost 3.5 months this coming spring. The closures will be in place for construction work on retaining walls along the road. During the closures, from March 1st to June 10th, traffic through the construction zone will be managed by traffic signals and flaggers. Gary Zbel, Historic Preservations Manager for the Great Smokies National Park, provides an update on the restoration projects in the Elkmont Historic District in this Knox News video. Zbel specifically focuses on the Appalachian Clubhouse. Backpacker Magazine will be giving away gently used gear over the next several weeks. All you have to do is enter your information into the drawing. Backpacker will be giving away the boots, tents, packs, camp stoves, etc., from the cache of 2010 products the editors reviewed for their April Gear Guide. This week's prize is a pair of Merrel Outbound Leather Mid boots. For those of you who think the backcountry in the Great Smoky Mountains is just a little too crowded, Backpacker Magazine has a solution. Their alternative? The Pisgah National Forest. In particular, the Middle Prong and Shining Rock Wilderness areas. The Backpacker article points out that Pisgah has 850 miles of trails, while the Smokies clocks in at around 800. Pisgah also hosts 138 miles of the Appalachian Trail, while the Smokies has only 69. Pisgah tops out at 6,440-foot Potato Hill; Great Smoky at 6,643-foot Clingmans Dome. But the real selling point is that Pisgah has far fewer visitors, and less bureaucratic hassles than it's neighbor to the west. Backpacker also has a few hiking suggestions as well. Just click here to read the article. A study conducted by the Peninsula College of Medicine and Dentistry, and recently published in the Environmental Science and Technology Journal, shows that exercising in a natural outdoor environment is linked to greater feelings of revitalisation, increased energy and positive engagement. The same study also found that outdoor exercising decreases tension, confusion, anger and depression. The research was conducted on 833 adults, with most of them (523) being young students (from the university I presume). Participants in the study also reported greater enjoyment and satisfaction with outdoor activities, and declared a greater intent to repeat the activity at a later date. Actually, this all seems to be just common sense. A walk in the woods is probably just about the best way to remove the everyday stresses of life. Moreover, at least for me, the effects from spending time in the wilderness tends to last several days afterwards. To read the journal article, called; Does Participating in Physical Activity in Outdoor Natural Environments Have a Greater Effect on Physical and Mental Wellbeing than Physical Activity Indoors? A Systematic Review, please click here. The Banff Mountain Film Festival will be making it's only appearance in Tennessee on March 28th. The 2011 festival, showing at the Bijou Theatre in Knoxville, is sponsored by Blue Ridge Mountain Sports and will benefit Friends of the Smokies. Each year, the film festival travels to 30 countries reaching more than 210,000 people at over 550 screenings. This is a great opportunity to check out some of the world-class series of amazing outdoor adventure short films (click here for a list of the films on this years' tour). Tickets are are $13 in advance and $15 at the door, and are now available online at the Bijou Box Office. The tour will also make a few stops in North Carolina, including Brevard College on March 18th and 19th, and Appalachian State University on April 1st and 2nd. According to the U.S. Fish and Wildlife Service, White-nose Syndrome has now been officially documented in North Carolina. According to the press release published earlier this week, White-nose syndrome was discovered in a retired mine in Avery County, and in a cave at Grandfather Mountain State Park. On Feb. 1, a team of Commission biologists were conducting a bat inventory of the closed mine where they saw numerous bats displaying symptomatic white patches of fungus on their skin. Five bats from the mine were sent to the Southeastern Cooperative Wildlife Disease Study unit at the University of Georgia for testing, which confirmed the presence of white-nose syndrome. In late January, a team of state, federal, and private biologists were conducting a bat inventory of a cave at Grandfather Mountain when they discovered a single dead bat. Following state white-nose syndrome surveillance protocols, the bat was sent for testing and it has been confirmed for white-nose syndrome. North Carolina is home to three federally endangered bats, the Virginia big-eared, Indiana, and gray. Virginia big-eared bats are known from the Grandfather Mountain cave and have been seen in the Avery county mine, though not recently. Thus far, the disease has not been observed in Virginia big-eared bats farther north, however it has greatly impacted Indiana bat populations at infected caves and mines. Both of the North Carolina sites have Eastern small-footed, little brown, Northern long-eared, and tri-colored bats while big brown bats are also found at the mine – all bat species that have been affected to some degree by white-nose syndrome in the Northeast. In 2009, fearing the disease could be transferred from cave to cave by humans, the Service released a cave advisory asking people to refrain from entering caves in states where white-nose syndrome has been confirmed and all adjoining states. The North Carolina Wildlife Resources Commission holds a protective easement on the mine and both it and the Grandfather Mountain cave have been gated and closed to the public for years to protect hibernating bats. For more information about the disease you can visit http://www.fws.gov/whitenosesyndrome. Next month Friends of the Smokies and Trails Forever will host a panel discussion about hiking in the Great Smoky Mountains. The event will be held at the REI store in Asheville (31 Schenck Parkway). The forum will be geared towards those that are unfamiliar with hiking in the Smokies. They will answer questions on where to start, what to bring, and dealing with bears. The adventurous Friends of the Smokies panel will give you the inside scoop on how to prepare, how to get there, and what to expect so you can have fun! Hiker, National Park volunteer, and author Danny Bernstein will facilitate the evening. The event will be held from 7:00 to 8:15 p.m. on March 9, 2011 at the Asheville REI store. For more information and to register, please click here. Most people are familiar with the Appalachian Trail. Indeed, many have probably hiked at least a portion of it. 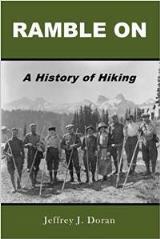 But have you ever considered, or wondered what it would be like to hike the AT's western cousin - the Pacific Crest Trail? The Backpacking Light website is currently running a series of excellent articles about Ryan Linn's first hand account of his Pacific Crest Trail thru-hike this past summer. The first installment of the series covers his trek through the deserts of Southern California. "The next two days were an epic eating binge." The second segment covers his trek over the Snowy Sierra. "There are so many comparisons made between the two most popular long-distance trails in America, and after having hiked both of them I find all such comparisons to be in poor taste. I’ve heard so many hikers criticize the Appalachian Trail as too crowded, uninspiring, frequented by people who would rather party than hike. And I’ve heard others say that the PCT is more dangerous, it’s harder to get into towns from the trail, and you’ll be alone on the trail more often than not. During my hike, I found these notions to be flawed, at best, and now that I’ve seen both trails in their entirety I can say they are based on poor stereotypes." The third installment takes Linn from Lake Tahoe, past the volcanoes of Northern California and Southern Oregon, and onto the Columbia River. There will be at least one, maybe two more installments in this series, which are being published on Tuesdays. In addition to the great narratives Linn provides, the articles also include some outstanding photography from the trail. The annual REI Winter Clearance Sale begins today. You can save up to 30% - or more - on a wide selection of outdoor gear and clothing, including winter gear items such as skis, snowboards, snowshoes, boots, slippers and more. The Winter Clearance Sale ends on February 21st. You may also want to make note of Icebreaker's annual End-of-Season Sale in which they're offering select clothing at 25% off. This is a rare opportunity to buy their outdoor wear at a discount -- they don't even offer sales during the Christmas season. Their End-of-Season Sale ends February 18th. Is this really a trail? This video was taken at Leukerbad in Switzerland. The "trail" climbs the rock face of the mighty Dauberhorn which towers above Leukerbad on what is known as a via ferrata, or a mountain route equipped with fixed cables and ladders wherever necessary. It's an experience somewhere between mountain hiking and all-out mountaineering. The dates for the spring series are: April 6, 13, 20 & 27, 2011. This year Friends & Missy will take participants on trails to see wildflowers, waterfalls, and parts of the N.C. side of the Smokies. The hikes are led by Hiking Fitness Expert Missy Kane, Great Smoky Mountains National Park rangers and volunteers. The cost is $15.00 per hike, and maps/goodies will be provided by Friends & Missy. Beginning in March 2011, you must register by calling 865-541-4500 (Covenant Call Center) as space is limited. 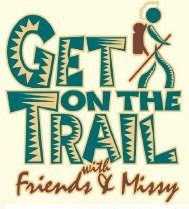 Since the series started, Get on the Trail with Friends and Missy has raised more than $80,000 that has supported the preservation and protection of Great Smoky Mountains National Park. For those of you that live in the Knoxville area, Friends of the Smokies and Blue Ridge Mountain Sports have teamed up to offer two Hiking 101 Seminars next month. Each one night class will help beginners understand what to do to make their first forays into the great outdoors successful. Topics include the “10 plus essentials,” proper layering, and footwear selection. Both seminars are free and will be offered only once in each location this spring. The first seminar will be held on March 15, 2011 at the Blue Ridge Mountain Sports store at the Village Green Shopping Center in Knoxville. The second, to be held on March 22, 2011, will be at the Blue Ridge Mountain Sports store in the Kingston Pike Shopping Center. For more information, and to sign-up, please click here. After years of debate, the U.S. Forest Service and conservation groups have reached a mutual agreement over logging plans for the Globe Forest area of the Pisgah National Forest near Boone and Blowing Rock. The agency has agreed to drop from the timber sale one stand containing trees as old as 300 years or more. The agency also is reducing planned timber harvests across nearly 100 acres of forests within the view-sheds of local communities. The Forest Service addressed concerns about muddy runoff from road construction by reducing temporary road construction to only 1/2 mile and eliminating the need for any new permanent road entirely from the Globe Forest. "We are thrilled we found a collaborative outcome that protects this old growth forest," said DJ Gerken, senior attorney with the Southern Environmental Law Center (SELC). "While we don't agree with the Forest Service about the impacts of logging on forest habitat, this compromise shows the win-win result of hard work by Forest Service professionals and by citizens who care deeply about protecting these public lands. I'm honored to have been part of this effort that will benefit the environment, and benefit a wide range of stakeholders. I look forward to showing off the ancient Globe Forest to my grandchildren some day." "I'm glad that the outcome of this project is good for all parties involved," said John Crockett, district ranger for the Grandfather Ranger District. While reducing the project's visual impacts, project objectives will still be met by creating 346 acres of 0-10 year old wildlife habitat through two-age regeneration harvesting. Crockett adds "We were cognizant of the visual concerns within the viewshed of Blowing Rock as well as visual impacts from Globe Road. No harvest units or landings will be directly on Globe Road." In addition to addressing the concerns of the conservation groups, the compromise design for the Globe Timber project will achieve several of the Forest Service's goals for the project. The new Mulberry Globe Stewardship Project, being implemented by the National Wild Turkey Federation, will use receipts from the timber sale to complete improvement projects in the area including site preparation to ensure healthy re-growth in harvested stands, creating wildlife habitat openings, placing boulders to managing unauthorized vehicles, relocating degraded trails that are causing damage, treating weeds and restoring streams. "The NWTF is conducting the work in partnership with multiple local contractors, NWTF volunteers, and the North Carolina Wildlife Resources Commission," said Dave Wilson, director of stewardship services with the NWTF. "The project will provide much needed early successional habitat for the wild turkey and a multitude of other species." * In January 2005, USFS announced plans to log the Globe Forest, which harbors old-growth trees - increasingly rare in the region, some more than 300 years old. Over 1,800 comments from citizens were submitted to the agency, the vast majority opposed to logging the Globe. * The Blowing Rock Town Council and the Watauga County Commission each passed unanimous resolutions opposing the project. * The agency revised the logging project in November 2006, but reduced the area to be logged by just 19 acres. * SELC, representing Wild South, Southern Appalachian Forest Coalition, and the Western North Carolina Alliance, appealed the project in early 2008. * The Forest Service initiated collaborative discussions in fall of 2008 which ultimately produced the compromise design for the revised Mulberry / Globe Stewardship Project. Now that the Super Bowl is behind us, we can now concentrate on the only team sport that really matters - college basketball! For me, March Madness is the greatest sporting event of the year, especially when you have your own dog in the hunt. Even if my Xavier Musketeers don't make it to the big dance, I still love watching and rooting for all the smaller schools around the country, especially when they knock off NCAA's royalty. Everyone is familiar with the Duke Cameron Crazies. They have a national reputation for being extreme fans, and can be quite intimidating to oppossing teams. However, they have nothing on the Utah State fans. Check out these short video clips from the Spectrum, home of the Utah State Aggies. If I were a college basketball player making my first road trip to the Spectrum, I would truly be intimidated by these fans. A new study conducted by researchers at the Center for Injury Research and Policy of The Research Institute at Nationwide Children’s Hospital found the number of mountain bike-related injuries decreased 56 percent over the 14-year study period (1994 to 2007) – going from a high of more than 23,000 injuries in 1995 to just over 10,000 injuries in 2007. 1) Mountain biking was relatively new in the mid-90s as a mass appeal sport. I would suggest that basic mountain biking skills have likely gotten better since that time period. 2) I would also argue that many mountain bike riders have moved away from riding on the more rugged trails, and onto to smoother surfaces, including paved roads and trails, thus minimizing many of dangerous situations encountered on backcountry trails. According to the study, appearing in the February 2011 issue of the American Journal of Sports Medicine, the most frequent diagnoses were fractures (27 percent), soft tissue injuries (24 percent) and lacerations (21 percent), while the most commonly injured body parts were the upper extremities (27 percent), shoulder and clavicle (20 percent) and the lower extremities (20 percent). Falls (70 percent) or being thrown off the bike (14 percent) were the most common mechanisms of injury. The National Park Service has awarded $340,000 to eight projects that will link existing national historic and scenic trails to national parks and other Federal facilities. The annual “Connect Trails to Parks” awards will develop or enhance trail connections. They will also fund informational waysides, educational services, bridge and trail designs, and planning services. The National Park Service plays a vital role in operating the 54,000-mile National Trails System. The Trails System dates to a 1968 law that created the Appalachian and Pacific Crest National Scenic Trails. Today, the National Trails System is comprised of 11 national scenic trails (NSTs), 19 national historic trails (NHTs), and more than 1,100 national recreation trails (NRTs). Each “Connect Trails to Parks” project must cost $100,000 or less and be slated for completion by the end of next year. The program was established in 2008 to increase awareness, appreciation, and use of the National Trails System as it approaches its 50th anniversary in 2018. For more information on the eight projects receiving funds, please click here. The U.S. Forest Service has partnered with the Aldo Leopold Foundation and the Center for Humans and Nature in the first feature-length, high-definition documentary about the legendary conservationist Aldo Leopold. The film “Green Fire: Aldo Leopold and a Land Ethic for Our Time” will premiere on Saturday, Feb. 5, at the National Hispanic Cultural Center in Albuquerque, N.M.
Leopold’s Forest Service career started on the Apache National Forest in Arizona. He is the author of “A Sand County Almanac”, published posthumously in 1949. In recent decades, it has become a catalyst for ecological restoration and community-based conservation. Aldo Leopold was a conservationist, forester, philosopher, educator, writer, and outdoor enthusiast, and is considered by many as the father of wildlife management and of the United States’ wilderness system. Green Fire: Aldo Leopold and a Land Ethic for Our Time from Jeannine Richards on Vimeo. Wind gusts recorded by the sonic anemometer located on the Mile High Swinging Bridge at Grandfather Mountain reached 114.7 mph, setting a new record for this location. This three-second gust clocked in at 4:58 p.m. on Wednesday, January 26. The previous highest three-second gust on Grandfather was 106.95 mph recorded on February 11, 2008. “While North Carolina doesn’t have an official state wind gust record, this 114.7 mph at Grandfather is one of the highest wind speeds ever recorded in the state,” said State Climatologist Ryan Boyles. In November 2010, Grandfather Mountain upgraded to the new state-of-the-art anemometer to measure wind speeds. Instead of measuring how fast cups spin in the wind, the Vaisala WS425 FG Ice Free is a sonic anemometer that measures how fast particulates in the air speed past its electronic sensors. The new anemometer also has a 150 watt heater which keeps it free from ice buildup (rime or glaze) even in the most demanding conditions. The instrument is networked with the State Climate Office, a step that addresses the gaps in data that plague Grandfather on occasions when winter conditions prevent employees from reaching the summit. Have you ever dreamed of climbing to the top of some of the highest peaks in the Grand Tetons? This year could be your year to realize those dreams. 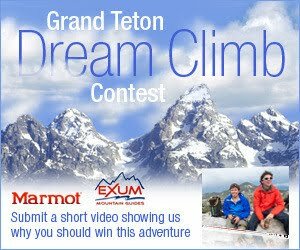 Marmot has recently announced a contest in which two people will receive a four-day climbing expedition in the Grand Tetons, led by Exum Mountain Guides. All you need to do is submit a two-minute video in which you and another person describe yourselves and explain why you should be chosen for the Grand Prize. If chosen, the person submitting the winning video will be deemed the Winner, and the other person who participated in the winning video will be deemed the Companion. The Winner and Companion will train for, and participate in, the Grand Teton climbing expedition. • Four-day Grand Teton climbing expedition for two people led by Exum Mountain Guides. • Customized training and conditioning program developed for two people together by Mountain Athlete. • Mountain climbing gear and attire provided by Marmot, including jacket, pants, and a training outfit of short-sleeve shirt and shorts. • Up to $500 per person towards airfare to and from Jackson, Wyoming. • Lodging for two at the world famous Alpine House in Jackson, Wyoming. • Up to $400 towards rental car transportation. Total retail value of the Grand Prize for two is approximately $4,950. The contest runs through March 18, 2011. For more information, to enter, and to see some of the videos already entered, please click here. The Appalachian Trail Conservancy (ATC) is accepting applications for their Wilderness First Aid Course at the Twin Creeks Science and Education Center in the Great Smoky Mountains National Park near Gatlinburg, Tennessee. This two-day course will be held over March 2nd and 3rd, and is open to the public at a cost of $120 per person. Overnight accommodations are available at no charge. If you are a day-hiker, backpacker or outdoorsman, this is a great way to be prepared and stay safe. Fast paced and hands-on, the agenda covers a wide range of wilderness medicine topics for people who travel and work in the outdoors. This course is pre-approved by such organizations as: the American Camping Association, the United States Forest Service and other governmental agencies. To enroll or for more information, please contact Andrew Downs with the ATC at 828-254-3708 or adowns@appalachiantrail.org. Cyclingnews.com is reporting that the third edition of the Pisgah Mountain Bike Stage Race has been moved to a new spot on the 2011 calendar. In order to avoid conflicts with other events, the race will take place from September 27 to October 1 of this year. The Pisgah Mountain Bike Stage Race is one of only three sanctioned off-road stage races in the United States. It will cover 175 miles, climb 40,000 feet, and will showcase some of the best singletrack that the Pisgah National Forest has to offer. For more information on the race, please click here. In other mountain biking news, a new system of trails at the Jackrabbit Recreation Area on Chatuge Lake near Hayesville, NC has officially opened. On April 30th there will be an open house for the Jackrabbit Mountain Bike and Hiking Trails system. Representatives from local, state and national government, SORBA, IMBA, and others have been invited to take part in the festivities to celebrate the official opening of the new system. Plans include a ribbon cutting followed by group rides, runs, and hikes. Attendees will enjoy lunch provided by SABA and local restaurants. The Southern Appalachian Bicycle Association website explains that the Jackrabbit Mountain Bike and Hiking Trails system is an ongoing project. With close to 15 miles of trail completed thus far, the next goal is to create more mileage including a connector trail that will tie the trails to its neighboring campground. Future plans also include the addition of restrooms, a pavilion and a bike wash station. The trail system is open to hikers, but not to horses. You can click here for map of the trail system. Remember Lily the Bear? If the name doesn't ring a bell, you might recall she was the reason why the Great Smoky Mountains lost a $100,000 grant from Coca-Cola back in August. The Smokies got shellacked in the online voting contest to Bear Head Lake State Park out of Minnesota. Apparently Lily was, and still is, a local celebrity. When her fans learned that she spends a good portion of her time in the park, they wanted to do something to help out. Thus, the come-from-behind victory during the month-long contest. Lily is now a three-year-old wild black bear who is part of Dr. Lynn Rogers' long-term study of black bear ecology and behavior at the Wildlife Research Institute. On January 8, 2010, Dr. Rogers installed a live video camera in Lily's winter den near Ely, Minnesota so the public could share in the birth and care of her cub (named Hope). It was the first time the birth of a wild black bear had ever been viewed live on the Internet. This year, Lily had the first mixed age litter ever studied in a den, and the light colored cub might be the first brown cub in the clan being studying. Lily and Hope are proving to be some of the best ambassadors for bears themselves. Fans of Lily are learning about bears from the bears themselves. They're seeing an animal far different from the ferocious image usually displayed by the media. During Hope's first couple of weeks, hundreds of classrooms began each day watching the Lily Den Cam, and then going on to include Lily and Hope in lessons throughout the day. You can visit http://www.bearstudy.org/ to learn more about the research and the bears who are part of it. You can also visit http://www.bear.org/ to view the live den cam.